Shweta Rawal on her Journeys, Destinations & everything else in between. We live in an insulated world of illusory control. A world parented by internet, satellite TV, and advertising, teaching us everything from just doing it or not, living it all or not, but eventually buying it all to make ourselves seem in control in a world that slipped out of our grasps long ago. Our parents’, the generation born from early-1940s’ to mid-1950s’, didn’t have that luxury of illusory control over their worlds. They lost their parents, who were in their mid-20s to mid-30s, especially the ones that came from ‘the other side’ to a battle for survival, to finding scraps of food, to building properties their kids could live in, to settling new businesses. Our parents lost their parents to memories and reality of a traumatic migration. Something their parents could never unsee, only narrate over and over again to their kids and grandkids, maybe in the hopes of finding peace or salvation, or both. Our parents’ generation, born from early-1940s’ to mid-1950s’, was probably the most guilt-ridden generation India saw. 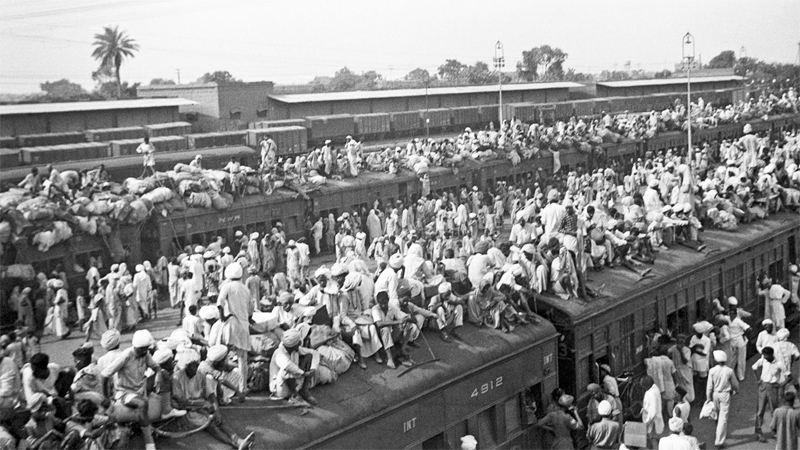 After all they were given a free country on a platter, a democracy, while their parents not only had to live in an enslaved country but also put up with the horrors of partition, and eventually work hard to rebuild everything they had lost. Our parents were not only supposed to work hard to make something of themselves and their lives, they were supposed to do something with the opportunities that came with free India. But as kids they were learning something entirely different. Having no money to buy sweets when you are 10 years old and feeling dependent and helpless is very different from having no money when you are 30 and desperate and working 16 hours a day to feed your family. While you may be hoping to teach your child about hard work and resilience, the child may just learn desperation that drives you to work and budget. Your child may just end up learning that getting money, somehow, is the most important thing. It is the route to power and freedom and nothing else could ever match up to what money could do. The only thing the grandparents’ generation finally ended up passing to our parents’ generation were desperation and value of money – not the values they had hoped to give. Our parents ended up as survivors, some with more money and freedom than they knew how to deal with, some comfortable enough to live their lives. But for them, all of it came at the cost of not having control over their own lives. It’s no wonder that social acceptance and economic security were the biggest concerns of this generation. It’s no wonder, our parents’ favorite words still are ‘how much’ and ‘compromise’. Most people from our parents’ generations learned to play it safe. Their children, born in 70s’ and 80s’, were supposed to become Doctors and Engineers, the two most financially safe and ‘respectable’ options you could find in an India still finding its socio-economic feet. Girls had two more options, to become a teacher or a housewife. We all somehow had to fit in our happiness in these brackets – Doctor, Engineer, Teacher, Housewife. And if it all came with settling in Canada or America, then you were the star of socio-economic hierarchy. Our parents’ generation was also the first generation affected deeply by the decline of real as well as illusory morality in politics post Lal Bahadur Shastri era. While their disappointment with the system led to financial success of Amitabh Bachchan’s ‘angry young man’ avatar, it also led to an apathy in our generation. If 10 people were gathered in street shouting slogans, or doing anything else, we were taught to avoid it and walk away. We were taught to avoid anything to do with the system, judiciary, police, politics, and everything with the government stamp on it. What we fail to realize over and over again with our rising purchasing power is that our generation is an overarching, multi layered reaction to partition. We have learned to buy happiness with money, things our parents couldn’t afford to do when we were growing up. Our consumerism isn’t an affliction of western nations as most of us would like to believe. All west did was to play on it. Our consumerism is a product of what we were born into as is rest of our life. I remember talking to a friend who grew up in Bombay about how our moms used to ration shampoo. We used to be given shampoo in a small steel bowl. Not that it wasn’t enough to wash off the grime from our hair, it was more than enough to settle a grime of ‘never having enough’ on our minds. His mom went a step ahead and rationed soap as well. My friend now finishes a normal 75 gm bar of soap in 4 days and has at least 6 kinds of shampoo bottles at all times. He also tells his mom that he can’t compromise and can’t look at pricing labels while buying shampoo. Worst of all, we are still people who don’t know which side was the first one to send a train full of corpses to the other side. We are still people with no answers from people who sign papers behind closed doors, and then use media and oratory to cut deep. All that is different is that we have finally learned to put our purchasing power to use, to fix everything that is wrong with us – our bodies, our clothes, and our lack of enough shampoo. Want to tell others about this post? Such a wonderful, pragmatic and forthcoming piece. Not sure how I did not read it all. Do you mind if we cross post this one at Chatoveracuppa. of course! please do:) And thanks for reading!